From the Armagh apple orchards to your plate, this is the story of Irish Black Butter. A selection of tasty recipes that use Irish Black Butter as an ingredient. 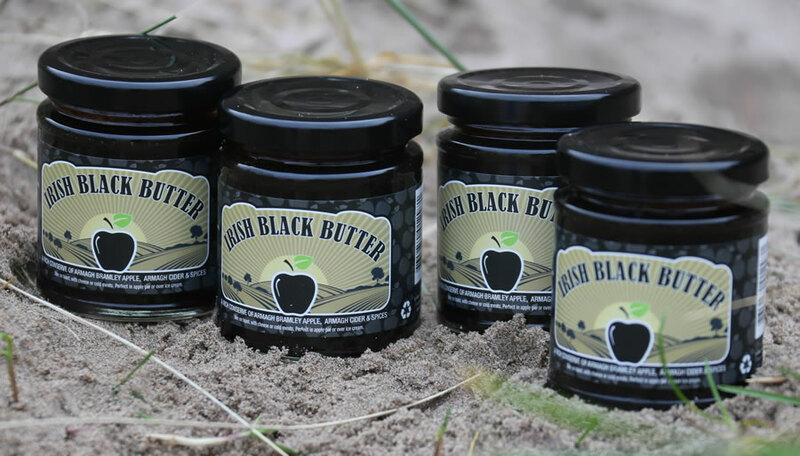 Close to you – Over 100 stockists of Irish Black Butter across Ireland. If you are not near one of our stockists then you can buy online right here. welcome to Irish Black Butter ! Thank you for stopping by to visit and find out more about our ‘great new taste of Ireland.’ Irish Black Butter was thought up by our founder; Alastair Bell who comes from the town of Portrush; a few miles away from the famous UNESCO World Heritage site – The Giant’s Causeway. We’re really excited about the innovative use of Euro PGI Status Armagh Bramley Apples, cider, brandy and spices which together conjure up a smooth product with both savoury and sweet uses all year round ! Our journey since launch in late 2017 has been truly amazing. We have met so many of you from throughout the World and it has been an honour to introduce you to our truly unique and award winning Irish product. Many of you have been telling us how you much you are enjoying Irish Black Butter and it is fair to say there have been some fantastic culinary ideas. On our recipes page you can view Irish Black Butter recipes, easy to make nibbles and other tasty ideas for you to enjoy. Irish Black Butter is Vegan and Vegetarian friendly and is also free from dairy and wheat. 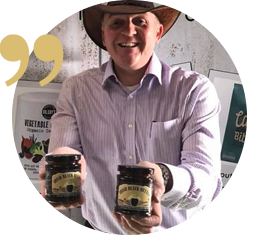 So whether you are entertaining for a corporate event, banquet, dinner party, having a social get together with friends or just having a quick bite there’s lots of reasons why you should make Irish Black Butter your first choice. Spreading the love is an integral part of what we do. We love to spread the great taste of Irish Black Butter and we love to hear from you, wherever in the World you happen to be. Maybe you have already visited us or perhaps you are planning a visit here on the island of Ireland. Our aim is that you enjoy something really tasty, traditional and packed with Irish provenance that gives you a heartfelt association with this island and brings back warm memories that may even draw you back home amongst us again. Community is very important to us and we enjoy involving others in what we do. Our gallery shows people and places which have and continue to form the Irish Black Black Butter story. You are also warmly invited to join our online community at Facebook, Twitter, Instagram and Youtube. We have listed local Irish Black Butter stockists on our website and would value your supporting these as and when you can. If however, on this occasion you cannot call in with one of our stockists you are very welcome to purchase from our online shop. We post Worldwide. It Started On The Beach ! 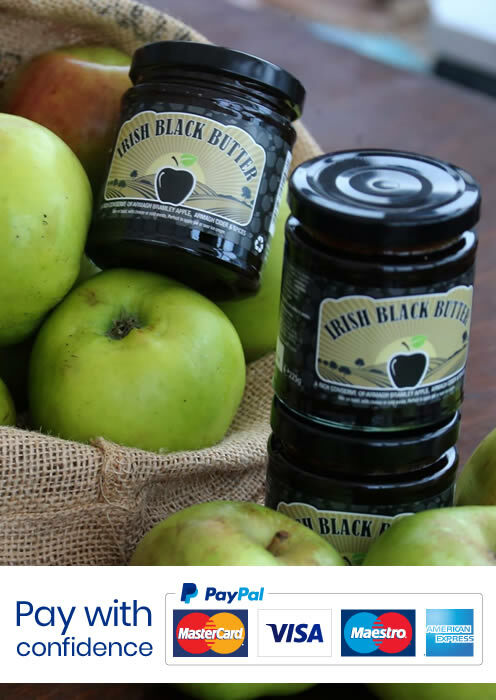 You can connect with Irish Black Butter on Facebook, Twitter, Instagram and Youtube and help ‘spread’ the word to friends and family, far and near who would love a new taste of Ireland – Irish Black Butter.